There are several basic and advanced filters that can be applied to filter for user accounts on the LMS platform. The base Moodle platform does not offer the state and post code user profile fields as part of the basic user’s profile page. 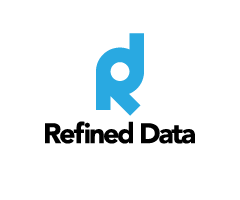 At Refined Data Solutions we believe this is valuable information to be captured about your users so we have added these fields as part of the Refined Training platform as custom profile fields. Now that these fields are created as custom fields the Refined Training platform has the ability to the filter users using these options throughout the site. All existing user accounts can be filter by going to site administration >>>> users >>>> accounts >>>> bulk user actions. When filtering users, the basic user filter of user information is by full name and allows an administrator to search for a user based on conditional text in the full name profile field. (Use the drop down menu to select how to filter the text in the full name field). Click the show more text to reveal additional user filters. These include the additional state and post code fields that Refined Data Solutions has added to the Refined Training platform. For the filtering to apply across the site, the “state” and “post code” field short names have been updated to “profile_field_rt_state” and “profile_field_rt_postcode” and should not be deleted, as this will cause the filtering to work incorrectly and cause issues with any API calls that include this information.